Lingual orthodontic braces such as the ones facing the tongue, are an invisible, yet effective solution to various orthodontic anomalies. The essence of lingual braces is that the brackets and the metal arch are placed on the inner surface of the teeth, facing the tongue, thus making the orthodontic appliance invisible. It is an ideal solution for public figures and performers. 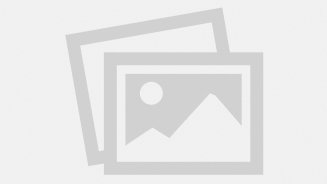 Lingual braces – in what do they differ from regular braces? It is already obvious from its name: lingual braces are placed on the inner surface of the teeth, facing the tongue, thus the orthodontic appliance becomes invisible. The lingual orthodontic appliance consists of brackets and metal arches, with the difference that the bracket base has to be individually customized, as the inner surface of the teeth presents greater variation than their outer surface. A significant similarity is that the efficiency of lingual braces and regular braces is the same, which means that almost every anomaly can be treated. Microimplants can as well be used with lingual braces. Does it not interfere with speech when the braces are placed on the inside of the teeth, facing the tongue? 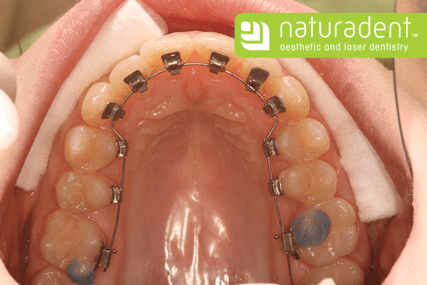 After their first placement both lingual and regular braces may feel unusual and uncomfortable. In the case of lingual braces, they are also occasionally touched by the tongue, making phonation therefore unusual during the first few days, but one can get used to this new situation in a relatively short period of time. This is why, lingual braces are also recommended for public figures and performers. Special attention should be paid to oral hygiene while wearing orthodontic appliances. Cleaning is somewhat more difficult in case of lingual braces, reason for which we recommend interdental brushes and brushes designed for those wearing orthodontic appliances. In order to keep the teeth and the orthodontic appliances clean, in addition to regular orthodontic controls, professional dental hygienic treatment is also required. Is the use of orthodontic retention devices also necessary in case of lingual braces? The use of orthodontic retention devices is always necessary. As such, it is also required after lingual braces, in order for the teeth to settle into the bone in the desired places.